By descent to James St Vincent Broke de Saumarez, 5th Baron de Saumarez (1889-1969) of Shrublands Park, Suffolk. UNIQUE AND POIGNANT RELIC OF ONE OF THE MOST FAMOUS ACTION IN NAVAL HISTORY. 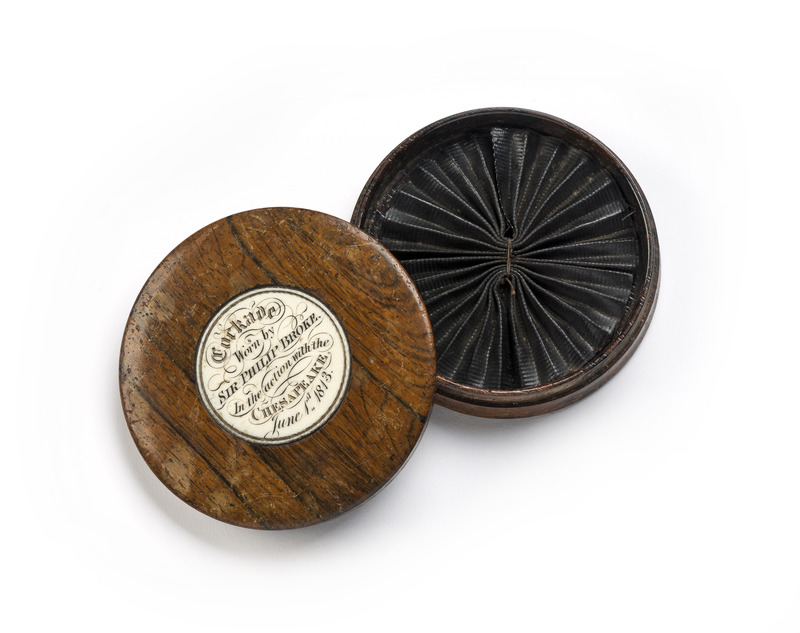 This box contains a unique relic of one of the most celebrated single ship actions in British and American naval history. On 1 June 1813, during the war with America, the 38 gun frigate Shannon, commanded by Captain Philip Broke, engaged the similarly armed United States warship Chesapeake outside Boston harbour. There was a short but very violent close action battle with heavy casualties on both sides during which Broke led his men in a boarding party to seize and secure Chesapeake. 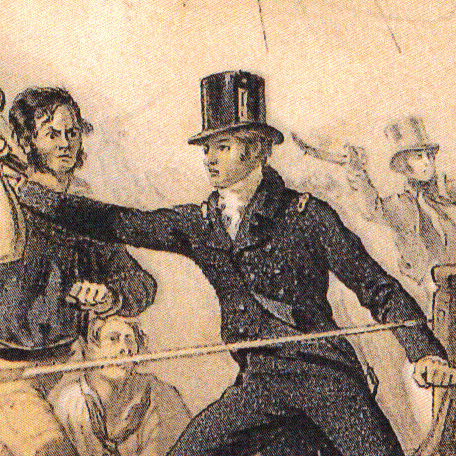 Detail of Captain Broke assailed by three Americans on Chesapeake. After parrying the pike man, he was struck by the sailor wielding the musket before the third American slashed his head with a cutlass. The cockade can be seen on his hat. Coloured lithograph. De Saumarez family collection. During the engagement Broke received a serious head wound from a cutlass blow whilst the American captain James Lawrence – who famously implored his men “Don’t give up the ship!” – was mortally wounded. Following his return to England with his prize, Broke was feted as a national hero receiving various honours including silverware, a sword, a gold medal and a baronetcy. At Broke Hall, his seat in Suffolk, Broke displayed these trophies alongside paintings of the action, the figurehead of Shannon and a gilded star from the quarters of his captured foe Chesapeake (sold Sotheby’s Lot 260, 5 October 2005 £66,000). 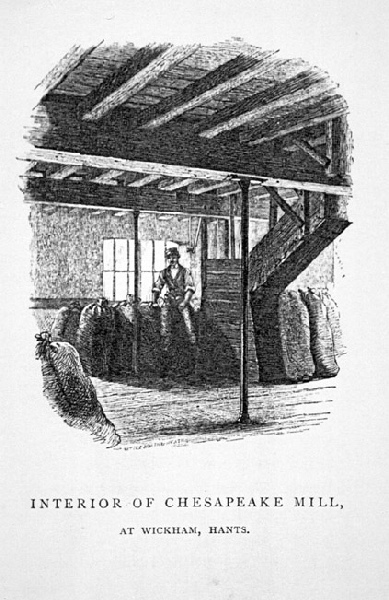 Philip Broke appears in the popular novels of Patrick O’Brian as a cousin of Jack Aubrey. The Chesapeake action is portrayed The Surgeon’s Mate and The Fortune of War. Chesapeake herself was scrapped in 1820 with many of her timbers recycled into the building of a mill in Hampshire although smaller pieces were used by Broke as inkstands and snuff boxes. 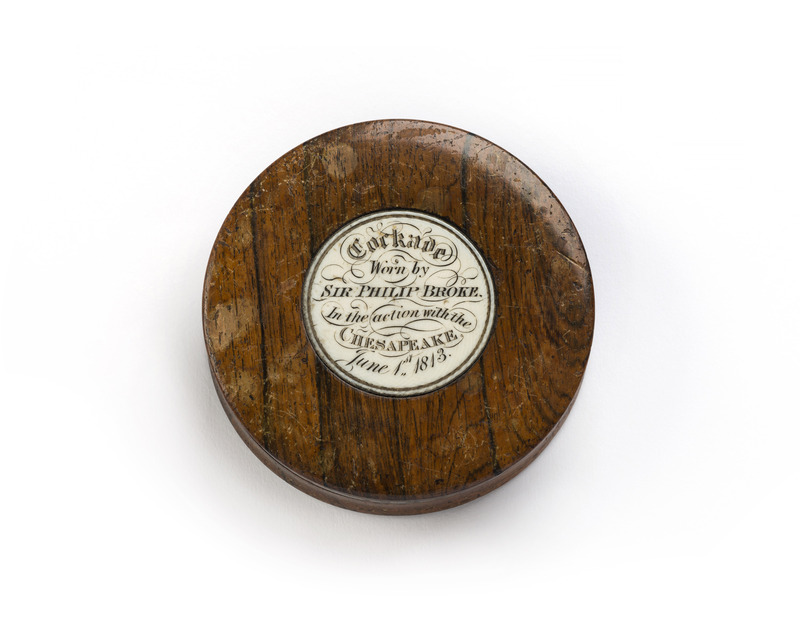 The discovery of this box reveals that Broke also preserved the cockade from the hat he was wearing during the action as a memento of his terrible head wound. Unusually, Broke preferred a round tall hat to the cocked hat worn by most naval officers of the period, but the standard issue black royal navy cockade can still be clearly seen on the hat in an engraving from the Broke family collection published in 1866. 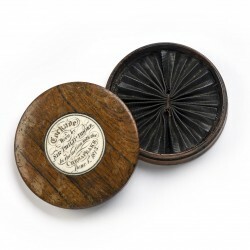 It is likely that the box holding the cockade is made from timbers recovered from Chesapeake.